At Justine, which opens on January 25 in New Orleans, the James Beard Award-winning chef channels the romance of Paris. James Beard Award-winning chef Justin Devillier doesn’t mind when someone calls him “Justine.” It only happens when he’s traveling around France, anyway, and that is how his name is pronounced in French. 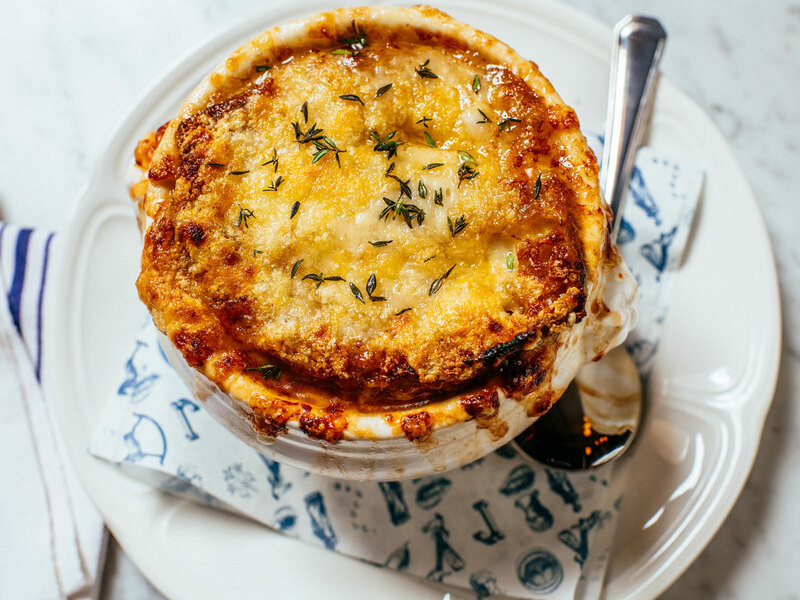 When the New Orleans chef, best known for his breakout restaurants La Petite Grocery and Balise, committed to opening the French brasserie he had dreamed about for years, he knew exactly what to call it: Justine. 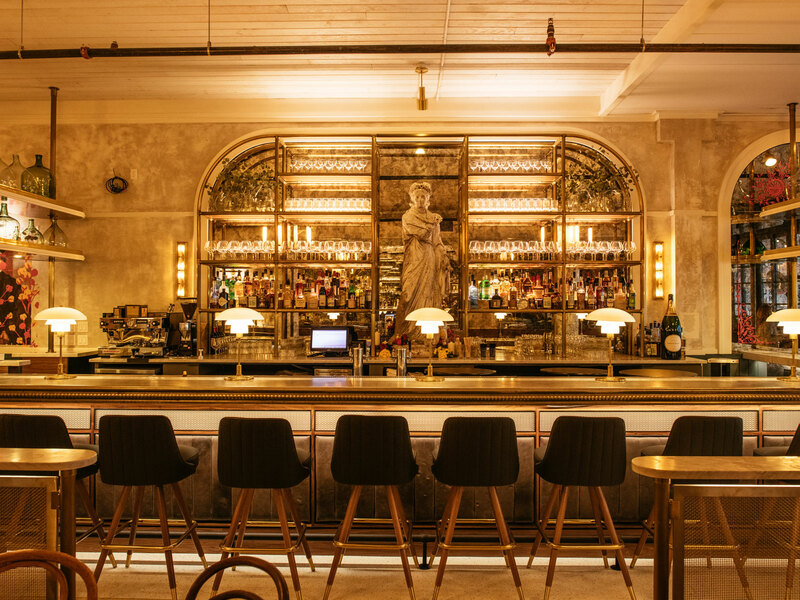 Together with his wife and business partner Mia Freiberger-Devillier, Justine will open its doors January 25 inside the historic May & Ellis building in the French Quarter, blurring the line between classic Parisian bistro and lively New Orleans locale. There are many themed rooms inside the massive, 200-seat grand hall-style restaurant, giving customers a slightly different Parisian-inspired experience in each one. The light and bright Café Room, where you might casually sip a coffee, opens to the sidewalk; while the Bar Room is low-lit with antique brass drink rails, smoked glass mirrors, and cozy banquettes, making it the perfect spot for a cognac cocktail or a glass of champagne. The Kitchen Room includes large communal tables, a few private round booths, and a glimpse inside the actual kitchen with chefs shuffling back and forth. There’s also an adjacent more intimate dining room with smaller, single-party tables, as well as an outdoor patio marked with a neon cabaret sign. During recent travels to France, Devillier and his wife collected antique pieces to incorporate into the space, which was designed by Farouki Farouki, a New Orleans-based firm. Devillier’s favorite is a hand-painted, pressed tin marquee, which once hung above a meat counter inside a Parisian butcher shop and now hangs above his open kitchen. While Devillier remains tight-lipped on what exactly will be on Justine’s menu, he did say many of the classics will make an appearance. Think steak frites, French onion soup, escargots, croque monsieur, moules, and raw bar towers. 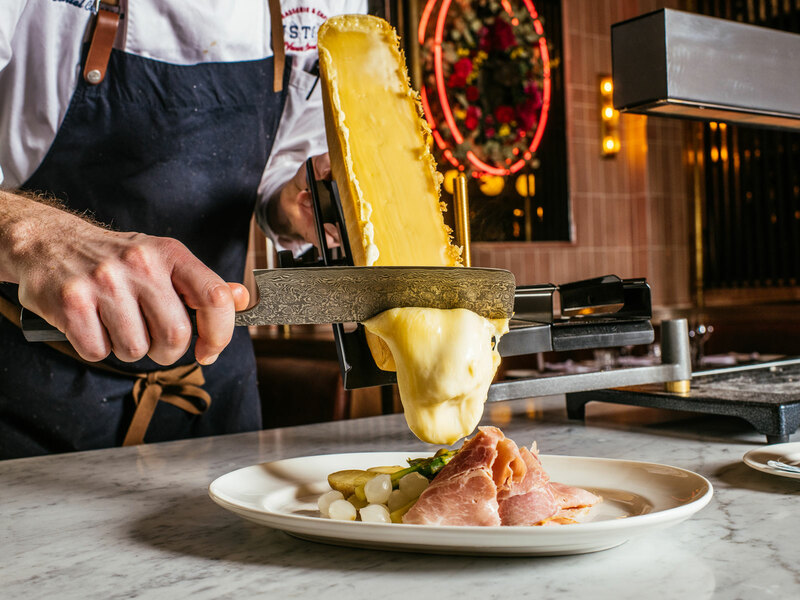 Devillier also teamed up with longtime friend Richard Sutton of New Orleans’ St. James Cheese Company to serve raclette. Among the desserts, Devillier speaks passionately about his pavlova with coconut sorbet and passionfruit pastry cream and French meringue. Otherwise, the cocktail list will offer a large selection of cognac, wines, champagne, and French aperitifs. Justine. 225 Chartres St., New Orleans.